I’m becoming a big fan of geraniums and begonias. Don’t get me wrong, I’ve always thought they were pretty flowers, but for some reason I didn’t always think they were for me. They were staples in many gardens I saw growing up, but I just didn’t seem to have much luck with them. I probably didn’t have enough patience to weather the season with them, neglecting them either by not watering enough when it was hot or not deadheading them. Eventually, I’d just give up and relegate them to the trash. For some reason, I stuck with both of them this year even when it looked like they might be on their last leg. They didn’t flower much in the extreme heat of August and truth is, I probably didn’t water them as much as I should have. 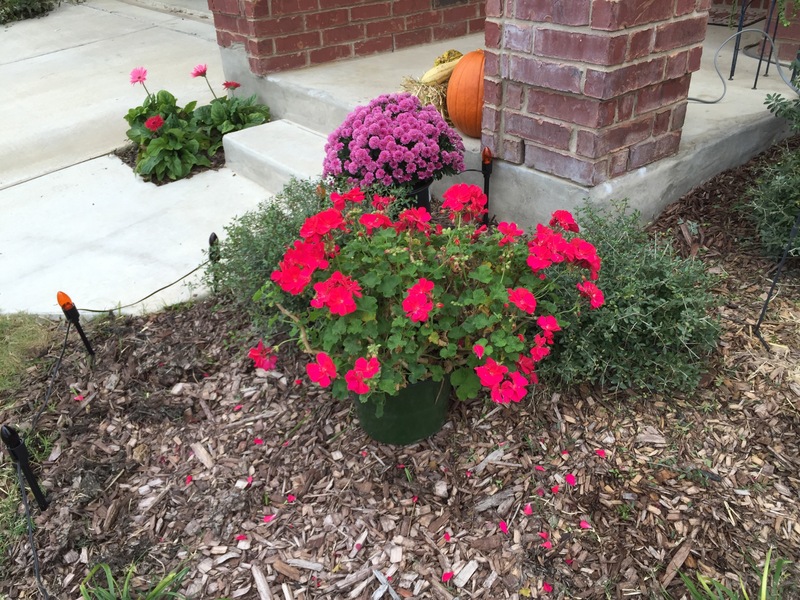 But now, in mid-November, they both have beautiful pink and red blooms that add a cheery dash of color to the fall landscape. If it weren’t for the stinky nature of the geranium, I might consider bringing it inside for the winter. Instead I’ll probably just tuck it somewhere near the front of the house and hope it makes it through the colder temps here. As for the begonia, I maybe should start looking for a planter so I can set it near a window and it can at least get some natural light. Maybe they’ll both make it through the winter and be my first outside plants next spring. 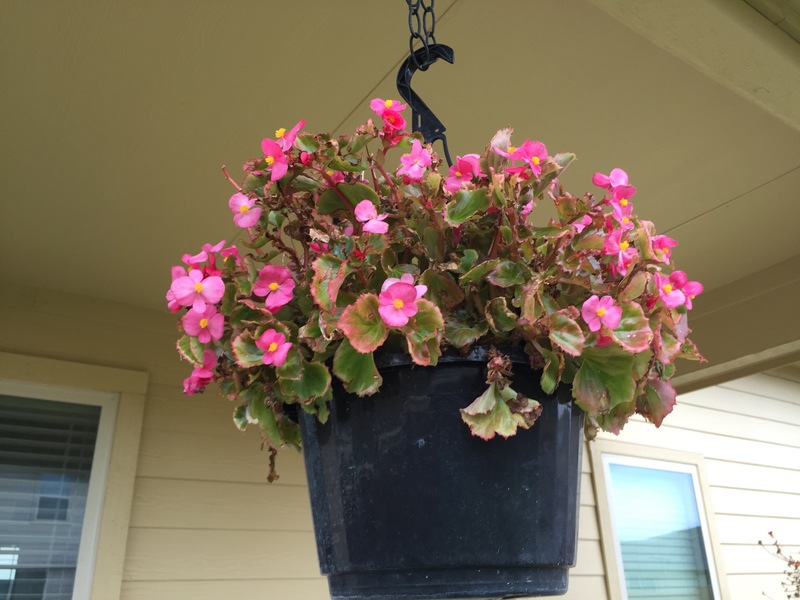 This entry was posted in Gardening and tagged begonias, flowers, geraniums on November 15, 2015 by Julie Riebe.